Top-50 most expensive living artists for 2013. The rating is compiled on the basis of data provided by agency Skate's Art Market Research on Top-5000 most expensive works of visual art sold at open auctions before 2013 (data on closed private sales were ignored). The rating is headed by Gerhard Richter. Top-5000 includes 110 of his paintings with total value of $ 746,083 million. The average price of Richter's works is $ 6,782 million. The highest average price of traditional Chinese-style works by Chinese artist Cui Ruzhuo amounts to $ 8,139 million. Gerhard Richter followed by Jeff Koons, Jasper Johns, and Damien Hirst represent Top-50 world's most expensive artists of 2013. The presented rating is remarkable for three women (Marlene Dumas, Cindy Sherman, Bridget Riley) and 14(!) Chinese artists being included. The 33-th line in the rating is occupied by the only one of Russian artists - Ilya Kabakov. Top-5000 includes 3 of his paintings with total value of $ 12,322 million. Artists' years of birth, as well as art styles and movements to which the most of their sold paintings refer, are indicated in the table. Zao Wou-ki, a painter who was recently the highest-selling living Chinese artist at auction, passed away april 09.2013 at his home in Switzerland. He was 93. Mr. Zao, who is known for his abstract works, suffered from dementia and weak health. He was living in a lakeside house near Geneva with his third wife, Françoise Marquet, who survives him along with a son from a previous marriage, Jialing Zhao. Born in Beijing in 1920, Mr. Zao studied fine arts in Hangzhou and Chongqing before moving to Paris in 1948. In France, he began to discover Western art styles and became a fixture on the country’s art scene in the second half of the 20th century. However, his career hit a lull in the 1990s, when few of his works were sold and museum interest waned. The artist’s career was rejuvenated following a major retrospective in Paris in 2003. Since then, his blend of Chinese techniques with Western modernist aesthetics has caught the eye of wealthy Asian collectors – especially from Taiwan and mainland China – who have paid significant sums for his works. In 2011, Mr. Zao was the top-selling, living Chinese artist at auction, with his works fetching $90 million in sales that year. His estate, which includes hundreds of paintings, is the subject of a legal dispute between Ms. Marquet and Mr. Zhao. There should be Dogmael Damien between Damien Hirst and Zao Wou-Ki with 150 000 000 euros. A French artist named Dogmael Damien has set up his own website targeting billionaires in search of their next big acquisition, a recent Art Newspaper article reports. The artist’s site (http://www.billionairepainting.com) is now online and markets itself as “Paintings for Billionaires Only”. Each of the three paintings currently on the site can be had for only €150 million (and without any commission!). 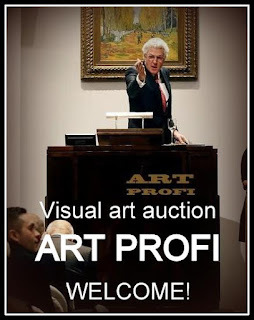 The acquisition of these paintings will cause a shock in the Art World, not only for the spectacular stunning massive price paid for it, but also for the private way it will be sold, far away from the noisy auction places. This private sale would have made these paintings the world’s most expensive ever sold in art history. The Most expensive Living Artist.